It’s May 29th 1993 and it’s a significant day in the world of the SNES. Today is the day when UK gamers will first get to play an exciting and ground breaking 3D shooter called Starwing. My eyes are like saucers as I see these three dimensional ships dance across the screen, gracefully ducking and diving around the enemies. It was literally like nothing I have ever seen before, how was this even possible I wondered? To this day I remember the palpable excitement I felt when I first played it, the thrill of watching the scramble sequence with its broken English speech. Then blasting out into the lush blue skies of Corneria to be greeted by a world of skyscrapers collapsing and fantastic music. 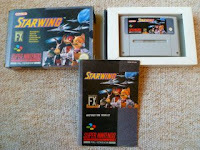 If it isn’t already apparent, I adored Starwing (or Star Fox as it is known to the majority). I played it daily and knew every inch of it. I found the black hole completely by accident and then even wrote to Total or Super Play magazine telling them (incorrectly as it turned out) how to get there. I knew of the fruit machine ending, and even could recite the lines of Lylat language. As a game it ticked so many boxes for me. I grew up in a family that would gather around and watch Star Trek together so Science Fiction was in my blood. I also had a bit of a penchant for cute animals, and (though I didn’t realise it) Miyamoto games so a fusion of these somewhat diverse things was always going to be my catnip. Everyone reading this I suspect knows Starwing relatively well, but what is perhaps less well known was the, at times, testy relationship between Argonaut and Nintendo during the games development. 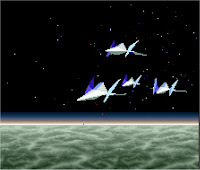 It was Argonaut that initially approached Nintendo with a desire to create a sequel to their 3D wire-mesh 8 bit Star Glider game. They even encouraged the Japanese giant to event develop a proprietary chip that would enhance the Super Nintendo’s 3D capabilities. From all accounts Nintendo eventually highjack the idea however and evolved it almost beyond recognition. It wasn’t always a happy relationship. Original programmer Dylan Cuthbert recently told Edge magazine that he furious at times, even ready to stand up to legendary Miyamoto believing that he was “removing what was cool”. It transpires that it was Shigeru Miyamoto who dictated the game lose the disorientating open world environments that was stalling the game’s development, not a popular decision with the British team. As Cuthbert recalls, Miyamoto said, ‘we’re going to limit it. It’s going to be on rails, and it’s going to be fun and playable and a Nintendo game.’” Considering my views on Vortex, this would turn out to be the one key decision that cemented Starwing’s incredible game play and long lasting appeal. But game mechanics weren’t the limit of Nintendo’s involvement. It was also Nintendo who encouraged the use of intrepid furry heroes rather than science fiction stereotypes. 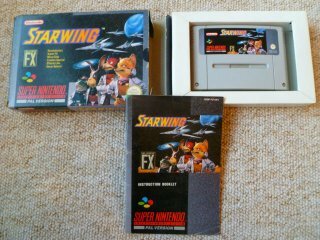 Designed by Takaya Imamura, Fox and his animal cohorts only found their place in Starwing once the core game engine was in place – highlighting Miyamoto’s philosophy that game play should always remain paramount. The legendary Japanese Designer is infused in Starwing, and without him the game would have felt in many respects soul less. You need to care about for inexperienced Slippy if you’re ever going to risk yourself to save him. You need to build up a sparing rapport with Falco if you’re going to ever fell the smug satisfaction of stealing his kills. You need to feel like a leader, as unless you do, you will never feel like a hero. It’s the subtle things that make this whole game a joy to play. Be it this characterisation of your wingmen speaking in their endearing Lylat language or even the way each progressive level ends with increasingly more heroic versions of the main theme. Indeed, the music truly adds so much to the already incredible game. Again a Nintendo influence and composed by Hajime Hirasawa, every track proves intricate and evocative. From the tense rumblings of the Asteroid field to the uncomfortable otherworldliness of Sector X and Z. Starwing really does show case what the SNES could achieve audibly as well as visually. 20 years after initially hearing the opening theme I can still hum every note and such is my love for it I’m now genuinely considering at as a ringtone just to see if it inspires a smile of recognition from any other geeky commuters. You would presume that the on-rails nature of the game would prove monotonous after a few levels, and Starwing presents the illusion of exploration when in essence the player had very limited controls. When diluted to its core the player’s sole goal is to avoid taking so much damage that your arwing falls apart. Naturally this can be best achieved by destroying all foes before they have the chance to return fire. Equally fruitful though is simply dodging anything on screen that appears to be a threat. The variations in scenery and threatening obstacles however mean that these game play’s corridors not only look pretty but lend themselves to different approaches. Shifting to an in cockpit view alerts the player that a given level involves a lot more shooting, while seeing the ship itself suggests that quick reactions are required in order to proceed. This is why StarWing has, for me at least, stood the test of time. I doubt that any fresh audience would marvel at the visuals but what I hope they would appreciate is the variety and accessibility. A heroic feeling of saving the world and the sense of adventure that permeates through. For an ‘aiming and dodging’ game, Starwing proves surprising tricky though. A choice of three different routes to the final boss, allows for a choice of difficulty for the adventure. My misspent youth and muscle memory meant that I breezed through the first of these three courses, but found the second to be significantly more challenging and the third close to impossible. Never frustrating however, each life lost meant a lesson learnt. I had a real desire to finish the game on the hardest route, if only to prove that I was as good at this game as I was 20 years ago. 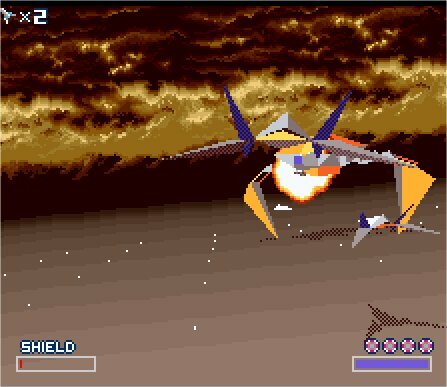 The series may have been all but abandoned by Nintendo (and if sales of the recent 3DS remake of Starwing’s sequel Lylat Wars is anything to go by audiences have abandoned it too) but for me it goes without saying that even to this day I adore Starwing. It may be heart ruling head, nostalgia colouring reality but (Unlike Vortex) the game really isn’t as hideously dated as I expected. It just goes to show that as Miyamoto said to Argonaut, if you have the core game play spot on it really doesn’t matter if a game has anthropomorphic pilots, cutting edge Super FX or basic polygon models. There is much more to write about when it comes to the history of Star Wing, but this blog post is perhaps not the place. However, if you ever intend to look more into its development a quick Google search for “Fushmi Inarai Taisha” will lead you to some rather interesting things. It’s a beautiful Shinto shrine near Kyoto, just 15 minutes from Nintendo’s former head office and is known for paths lined with a thousand vermillion torli gates. 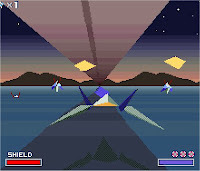 Star Wing has a lot of scenes when the player must fly through arches and it is said that it was as stroll through Fushmi Inarai that lead to Miyamoto sudden realisation that Star Wing should be a branching on rails shooter. This mimicked the branching paths of the shrine and the idea is that the arches you pass through give a greater sense of depth and speed. Decorated with images of a fox which is the messenger of Inari God, Fushmi Inarai also served as inspiration for Star Wing’s main character Fox McCloud. In 2008 I had the opportunity to visit Fushmi Inarai and though I knew of the connection to Starwing at the time I didn’t realise that I was literally following in Miyamoto’s footsteps. If you fancy seeing what it’s like, I have included a chunk of a travel Vlog I made while in Japan, and certainly looking back the similarities to Star Wing are apparent. Where did I acquire this? It’s another rather unexciting ‘bought it on eBay’ story. I do have a budget in mind for each of the games that I want, so it was simply a case of waiting for the right price and the game in the right condition. I only paid £10.99 including postage for my copy, however the seller was being very generous in her description – with worn edges and a crumpled manual it certainly isn’t mint! I also own a boxed complete Super Famicom version and would be tempted with the North American edition too If I ever saw it cheap. It would be nice to see a Star Fox logo on an English language edition, but to me this game will always be Starwing. I'm a fairly new reader on BoxedPixels, although I have read all of the posts with enthusiasm (often whilst dodging my bosses glances at my screen at work) and have since followed you on Twitter. 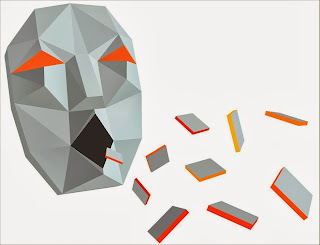 I've never been much of a commenter (YouTube forever put me off of online comment sections) but your competition has pushed me into it, and I figured I might aswell let you know that Boxed Pixels is always an enjoyable read, and hear is to 100,000 more. P.S. I'm only leaving one comment because I'm lazy, but I figured it might aswell be on my favourite SNES games of the ones you reviewed so far. My vote for your 'golden game' is for Super Metroid btw - it's another of my top 3 on SNES along with Starwing and Donkey Kong Country 3. Oh dear, just spotted the mega grammar error in my post. I almost feel that that should void me from winning as punishment.